On November 14th, Philadelphia’s newest winter attraction will be introduced: The Rothman Institute Ice Rink at Dilworth Park. In the past, Dilworth Plaza at City Hall was a dilapidated urban maze that left the Center City District (CCD) craving a fresh space that people would prioritize as a must-visit destination. In September, CCD unveiled its new $55 million park space as Dilworth Park. Now it is a centerpiece of the city, with multiple weekly activities such as concerts, movies, and festivals. As winter brings bitter cold temperatures and covers Philadelphia in a veil of snow, people tend to stay inside instead of experiencing everything the season has to offer. This melancholic time provided LevLane the opportunity to bring the warm spirit of the city to Dilworth Park, and bring together two of the region’s most well-known entities to develop and establish the Rothman Institute Ice Rink: Center City District and the Rothman Institute. Both clients’ businesses and cultures are sewn into the fabric of Philadelphia, which makes them the perfect partners to create a space that provides a uniquely Philadelphian experience. CCD is one of LevLane’s oldest clients, which gives us the advantage of knowing who reflects the brand’s image. Rothman’s orthopaedics practice throughout the region provides services focused on the human form’s movement– from balancing on ice skates to gliding around the rink. By showcasing the ice rink as a winter mainstay, LevLane’s goal was to make the ice rink a tradition synonymous with the Philadelphia winter season. We set out to create an area for visitors to meet, interact, and have fun. We placed transit ads, print media, brochures, posters, and banners throughout the Philadelphia region to drive people toward Dilworth Park. The campaign effectively hit all corners of the city and depicted the Rothman Institute Ice Rink as a gathering place during the winter months. 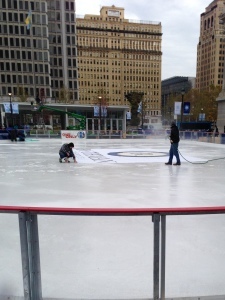 At the ice rink, a snowflake containing the Rothman Institute logo is placed under the ice, and around the circumference of the rink are the names of Philadelphia neighborhoods, represented as ice skating moves (such as the “Kensington Crossover”). Skaters are encouraged to share their moves and enjoyment of the new rink on social media by using the hashtag #rothmanrink. The Rothman Institute Ice Rink at Dilworth Park was an agency-wide project that was successfully implemented because of our talented employees and caring clients. This frosty new feature will be open daily from November 14th through February 22nd. 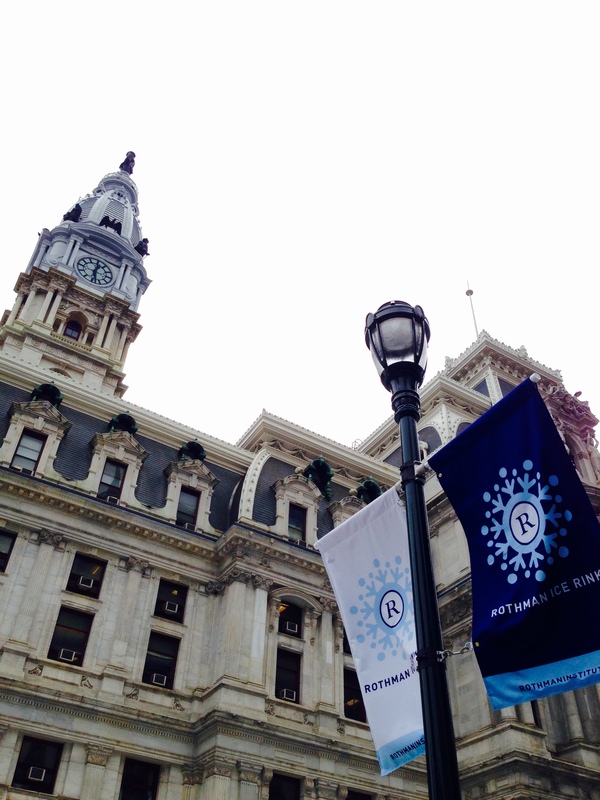 Join us in making the Rothman Institute Ice Rink at Dilworth Park a Philadelphia tradition.